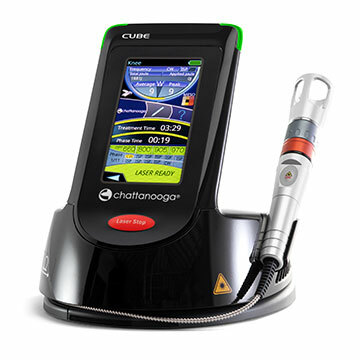 The Eltech K-Laser Cube systems are class 4 therapeutic laser devices that offer 3 or 4 different wavelengths that can be used simultaneously or independently. The Cube is an incredibly well designed piece of equipment that is already used all over the world. The Cube is also one-of-kind system because they allow up to 12 phases in one therapy protocol . This means that selecting a single protocol from the internal protocol library can execute even the most advanced combination of CW and pulsing in any any wavelength. The means that a single protocol can start out in continuous wave mode with all 3 or 4 wavelengths on for 30 seconds follow by 5 HZ pulsing at 810nm for another 40 second followed by 10 other specific setups. No one else in the industry has this level of control. This WiFi enabled system also allow for patients tracking. 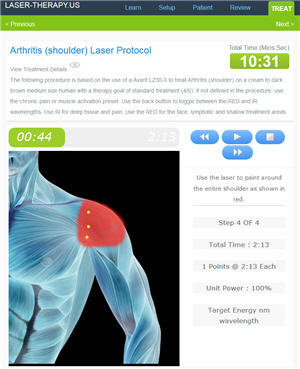 As a option, doctors can track patient parameters and track their treatments dosage and other parameters on the laser. In the table below, you will see that K-laser uses oversized laser diodes that can be operate independently for up 20 watt of power in one wavelength or any combination of wavelengths up to 20 watts total. If you compare this to other manufactures, their 20 watt systems will have 10 watt laser diodes or less so when you switch to a single wavelength you loose over 50% of the rate power. This version has internal protocols for humans. Click here to see The Cube VET that contains internal protocols for animals. Superior Quality - Precision machined parts and intuitive designed electronics make this system a super-star. Even the pilot light is the best. It is provide full illumination of the target area and visibly pulsed on while the laser is on so that you can see the system is operating. You shouldn't hear this claim from any laser made in China. The most flexibility - 3 or 4 wavelengths can be used in any combination of Pulsing or continuous wave. The best combination of high peak power and high average power - The Cube is unique compared to other class 4 system in the way they combine power. The Cube 4 contains 50 watts of laser diodes (15w@810nm+15w@980nm+20w@910=50w), you can use then in combinations up to 20 watts at one time. This give users more flexibility to use each wavelength individually or combined. Graphically Driven Integral Protocol Library This system could be compared to other manufacturers 50 watt systems. Multi-Stage Protocols - Each pre-programmed protocol can include up to 12 steps that automatically execute. A typical protocol will use the steps to output a combination both continuous wave and pulsing. Internal protocols typically operate at multiple pulsing rates. Magnetic Base locks the system down to any metal surface. This avoids the potential of pulling the laser off the cart. Super-flexible fiber optic cable is 9 feet long and coils around the base unit when not used. This design makes the user easier to use because it is so light and flexible. Zoom Focus - The Cube 4+ include a focusable metal emitter allowing it to be used for acupuncture using the internal acupuncture protocol. 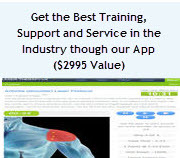 This is one of the only class 4 system that can do acupuncture, standard therapy and unattended therapy in one system. Another thing that makes the Cube systems the absolute best in the industry is the accessories. This is the only class 4 that does traditional therapy, acupuncture and unattended therapy in one system.